I'm a web developer at Middlebury. The Middlebury and MIIS blogging communities are now running on WordPress 3.4. This introduces three new features. 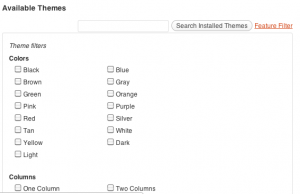 A theme customizer that lets you change your site’s settings and styles in one interface. Automatic Twitter embeds. Paste the URL of a Tweet into one of your posts and it will automatically show up in the post, like the example below. HTML Image Captions. When writing an image caption you can include some HTML tags like <b>, <i>, and <a> to add information to your caption. Here’s a video that highlights these features. 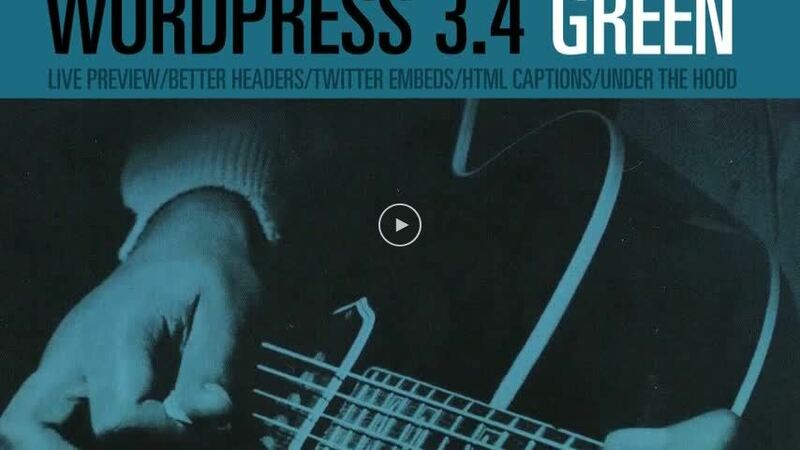 There is more information available about WordPress 3.4 in their official blog and developer documentation. This entry was posted in LIS Staff Interest, Middlebury Community Interest, WordPress on June 26, 2012 by Ian McBride. If you use Featured Images for posts in your WordPress site, you can now enable a plugin for your site that will show these images to you on the All Posts page in the administration interface for your site. This can help you quickly identify posts in the list. The name of the plugin is “Midd Post Thumbnails”. Simply activate it on the Plugins administration page and your posts list will now look something like this. This entry was posted in LIS Staff Interest, Middlebury Community Interest, WordPress on April 26, 2012 by Ian McBride. I’ve added 132 new themes to our instance of WordPress that can be used for your department, course, and personal blogs. The eight themes that we previously had have been renamed #1-8 so that they show up first in the list, followed by the new options. 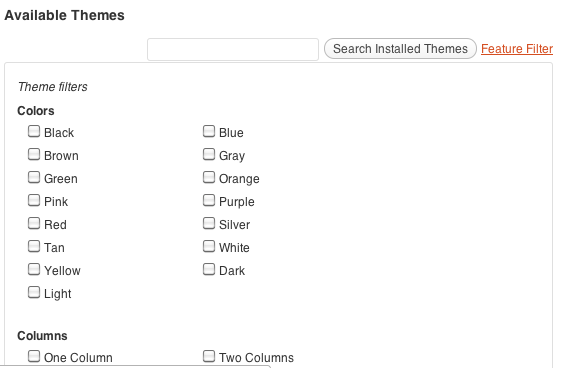 If you need a theme with a particular color, layout, or features, click the “Feature Filter” link on the right side of the Themes page and check the boxes that apply to your needs. You can click on one of the thumbnails in the Themes page to see a preview of your blog in the new theme. If you want to blog, but the Middlebury blogging network is lacking something you need, let us know. This entry was posted in LIS Staff Interest, Middlebury Community Interest, WordPress on February 20, 2012 by Ian McBride.